Food Corporation of India invites application for several posts of Assitant General manager in different departments. 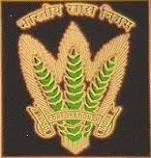 Posts for which recruitment is open is Assistant General Manager (General Administration. ), Assistant General Manager (Movement. ), Assistant General Manager (Accounts), Assistant General Manager (Law) and medical officer.